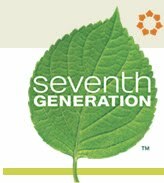 Preface: Seventh Generation is a company that provides high quality non toxic cleaning products while always keeping the environment in mind. What keeps them going? Remembering that what we do and the choices we make will impact the next seven generations to come. Check back tomorrow for a review of their Living Home Starter Kit! Seventh Generation is hosting an “Under the Sink Makeover Contest” that asks you to reveal your best friend’s dirtiest secrets – those hiding under the kitchen sink that is! With the area under the kitchen sink as a family’s typical dumping ground for chemical products, Seventh Generation wants families nationwide to know about – and detox – this potentially hazardous area, usually within arm’s reach of kids. Enter soon–the contest ends tomorrow, August 14, at 12:00am EST! To enter, all you need to do is visit their website at www.SeventhGeneration.com/under-the-sink and submit up to a 250-word description of why your friend deserves an under the sink makeover (e.g., she’s concerned for the health of her family and the environment, the area under her sink a toxic wasteland, she’s overwhelmed by the chaos of motherhood and wants to change but doesn’t know where to begin, etc.). You can also submit a photo of the hazardous area for an extra bonus! Four other finalists and their friends will receive a Seventh Generation Living Home Starter Kit containing a variety of home-cleaning products for their own under the kitchen sink makeover, in addition to a luxurious Lavera home spa kit containing Lavera’s customer favorite BODY SPA shower gel, body scrub and bath salts, and premium LAVERÉ Anti-Aging body lotion to pamper themselves. -First, enter the Under the Sink Makeover contest. You really don’t have to do much–just write a paragraph (or a few sentences) explaining why someone you know needs to win. -Second, comment on this post telling me why you want to win (and get a year’s worth of cleaning supplies + a fantastic spa trip to NYC). Include an email address or your entry will be deleted. I will choose the winner based on the entry that most convinces me that you need to win. If I can’t decide, I will choose a winner at random. Whomever I choose, Seventh Generation will be verifying that you did in fact enter their contest, so don’t try to cheat! Good luck and get busy writing; who knows–15 minutes out of your life may pay for a whole year to come! I wish I could enter!!! Its not open to Canadians 😦 Under my sink is just down right embarrasing (insert blushing smilie here) its awful, really awful. Its FULL of cleaning products, plastic grocery bags (that I never use, but somehow the pile contunues to grow…..) odds and ends and I am sure its home to the odd spider or creepy crawly **shudder** It would be awsome to win this contest! I would love to win because I feel like my sink is a wasteland of bad stuff for my son. I also hate to think that the products I use to CLEAN and disinfect may actually be harmful to my son just on the surfaces he touches! Yikes. I would love to have confidence that I'm doing the best I can to make life safe for my little one. Thank you for offering this contest! I entered on their site. I want to win because, well first of all, I can't enter myself into the contest on their site! Second of all, the area under our sink is a total disaster area right now, I don't even know what's under there. I would love to be able to chunk it all for better, safer products. Plus, I have a toddler son running around who has figured out how to open the cabinets just enough (even with the locks) to pull out a bottle or two if they're too close to the doors, and I would feel better if I could declutter that space and simplify my life, because if there are fewer products down there (and believe me, I would chunk the whole lot of I won), then there is less he can get a hold of. On top of all that, I'm becoming very eco-conscious lately and the more eco-friendly products I can get my hands on, the better! If you are between the ages of ten and thirty and live in central New York you have probably met someone who knows John and Sharon Cobb. Sharon is one of my best friends and they routinely open their home to youth and young people in those age ranges. I myself grew up going to their house and now as a mom take my young kids there. Sharon’s “under-sink” wasteland is chock full of cleaning supplies. Since she normally has guests six out of seven nights a week, most of which she finds out they are coming when they walk in the door, she has to keep her house at the highest level of cleanliness. However, she never knows if the person coming through the door has a sensitivity or allergy to cleaning products. She is also a mentor for our local mothers of preschoolers group and often has women and their young children (under 5) over to her house. Many cleaning products are toxic to not only adults, but especially young children. It is for that reason that I think Sharon should have an “under-sink” makeover by Seventh Generation. Sharon also has numerous pets; three dogs named Jake, Connor and Ranger. She also has two cats. Earlier this year her cat Sage died because it got into some unknown cleaning product and ingested it thus causing kidney failure. I think Sharon would be an awesome candidate for winning an under-sink makeover. It will benefit both her and others. I have three kids under four and no cupboard doors. Yep, you read it right…no cupboard doors. The house we moved into a year ago seriously needed help so we took off the cupboard doors to “save money and DIY them.” Well, long story short, I got pregnant with number three last OCTOBER and DIY-ing my cupboards went out the window. LOL. Last month (July 4) we had said baby and now are finally getting back into the swing of things. Where do cleaning products fit into all of this? I will explain. Since I don't have cupboard doors, anything I put in my base cabinets is accessible to my children. Instead I have decided to put all toxic things on a shelf. That would work except my kids (minus the newborn) climb. Uh huh. They are masters of climbing my shelves and counters. Also, my kids are all over the floor. We still as a society do not know how many toxins are absorbed through our skin when we touch something like a freshly mopped floor. I even know of one cleaning product that is very close to antifreeze and is actually toxic and possibly deadly to young children and animals who ingest it! I do not want my kids around that, nor do I want to sacrifice the cleanliness of my home just because I can't find any non-toxic cleaning products. I had good intentions of entering the contest. However, when I went to their site and realized I could not enter my mother I could not think of any friends in which I have seen under their sinks and could not accurately describe their situation. Thanks for sharing the contest though!